It used to be simpler when you only had the Palm Treo and a few different phones running Windows Mobile. There are now so many different smartphone operating systems. If you're a medical student or a resident, how do you choose your phone's operating system (OS)? 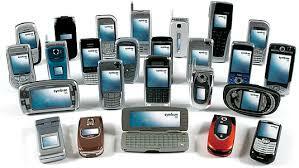 You have Palm Pre, Microsoft Windows Mobile, Apple iPhone, RIM BlackBerry, Google Android, and several others. How do you choose? Take a look at the post on MedicalSmartphones.com titled, "What's the best smartphone for physicians?"